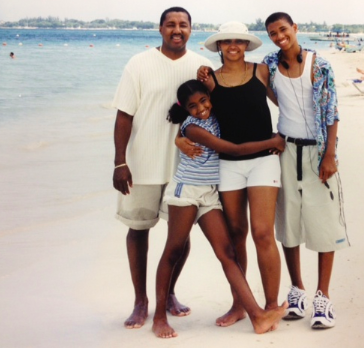 In 1999, while the world was worrying about Y2K and Prince was collecting residuals from his classic hit, my husband Robert was a thirteen year old boy packing his bags for his first family vacation out of the country. His parents had heard about a new family resort in Jamaica called Beaches and there was something about that resort that drew them in. So they called their local travel agent and booked their family of four to spend a week at Beaches Negril. Three years later, Robert was sixteen years old and a junior in high school, when he met me, a fourteen year old freshman. It didn't take long for him to officially ask me to be his girlfriend, and before I knew it we were talking about our future. While most kids our age were planning what they'd wear to prom, I was thinking about what my wedding dress would look like, and was happily picturing Robert waiting for me at the end of the isle to take my hand. We picked names for our kids, talked about where we'd live, what careers we'd have, and filled in all the plans in between. There was one thing we talked about often that I loved discussing the most. Vacation. Robert told me all about his trip to Jamaica and how everything was "free" (included). He told me that if he wanted to eat, he just walked into a restaurant and ate. If he wanted a drink he could SWIM up to a bar and ask for one. He told me he snorkeled, jumped off cliffs into the ocean, rode bikes on the water, and so much more. I thought he maybe it was all a dream he had, because surely a place that sounds this amazing couldn't be real. He promised that once I graduated high school, he would take me and show me it was real. Two years later he was off to college in New York City, and another two years later I graduated high school and joined him in New York City for college. We found an apartment and full time jobs and began taking night classes. We even adopted a dog. 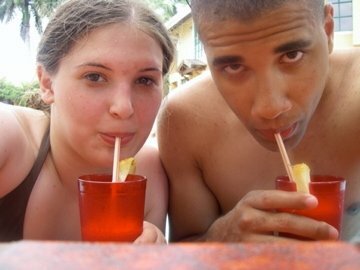 Life was busy and bills were piling up, but Robert didn't forget his promise to take me to Jamaica, and neither did I. We did the research and found it would cost us around $5,000 to go to Sandals Negril, the couples-only sister property of Beaches Negril. We wanted an oceanfront room because they looked so amazing on the website, and we wanted concierge service for the extra perks. So, even though our families thought we were completely insane, we saved up every penny we could for our vacation fund. It took us a year and a half but finally Robert walked into the local travel agent's office and booked it. We were set to go in May of 2007, for my 20th birthday, and I could hardly contain my excitement. Months later, the day arrived. We left our dog with my parents and boarded the nonstop flight from New York to Jamaica, the same flight Robert had taken just eight years prior. I couldn't believe it was finally happening. 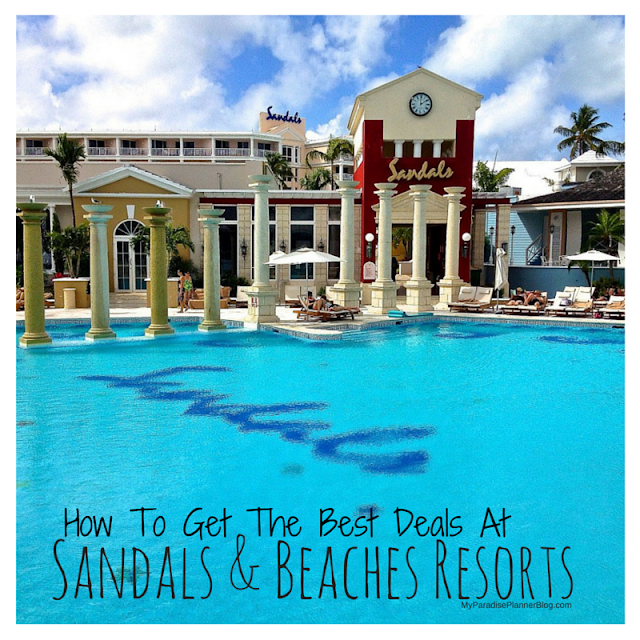 The experience we had at Sandals was something I couldn't recreate even if I tried. Being it was our first trip together and my first time outside of the US, it was truly a once-in-a-lifetime experience of firsts for us. When we returned home to New York all we could do was talk about our experience. We missed Sandals and Jamaica and knew that it would hold a special place in our hearts forever. 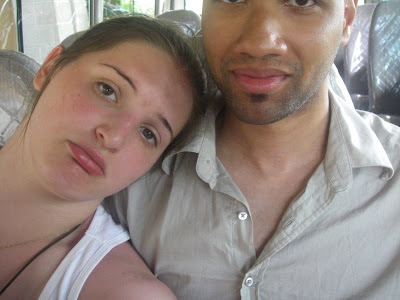 Our plan was to return to Jamaica as soon as we possibly could. But of course, working full time and going to school full time didn't allow for very much vacation time, or money to fund it. In the mean time I was telling everyone to visit Sandals Negril. From my parents, to my coworkers, to strangers on the subway. I just wanted to go back to Sandals. It was as if something was calling me home. It was around the same time that I was promoted to a managerial position in the office I worked in. I was sifting through resumes for a person to replace me for my previous position and noticed that most of them had college degrees but were begging for a position as a receptionist in a medical office. I couldn't understand why people who had made it through college were looking for jobs that had nothing to do with their degree field. But the reality of the situation was that jobs were scarce and some college degrees were becoming useless. It didn't take very long for the wheels in my head to begin spinning. I sat down and made a list of all the things I loved and all the things I was good at and decided to take the top few and make a career out of it. In the summer of 2008, at the age of twenty-one, I officially dropped out of college and my family was furious when I told them I was using my Fall tuition to open a business. A travel business. 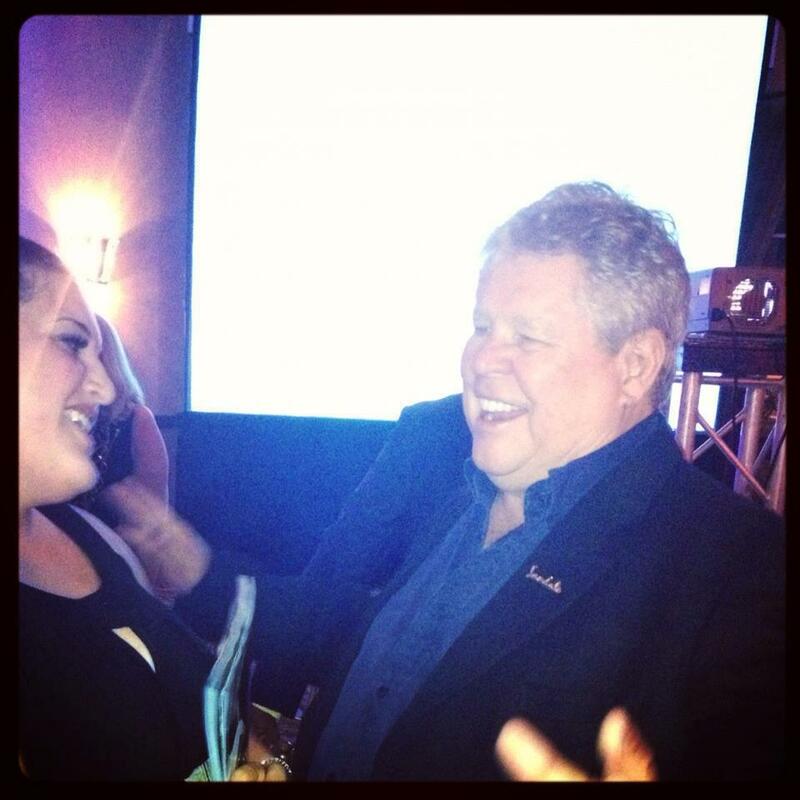 Even Robert thought I was nuts when I told him that some day I was going to sell travel full time and work from home. I attended seminars, read books, scoured the internet for answers, and joined organizations for travel professionals in order to learn how to make a living selling travel. I connected with an already established agency, and they acted as my host agency while I learned the ropes of the business. At the end of 2008, Robert asked me to marry him, and on top of growing a new business, I was planning a wedding. It didn't take us long to realize we wanted a beach wedding in Jamaica. I jumped at the idea of having my entire family there with us in Negril. It sounded like the perfect wedding. 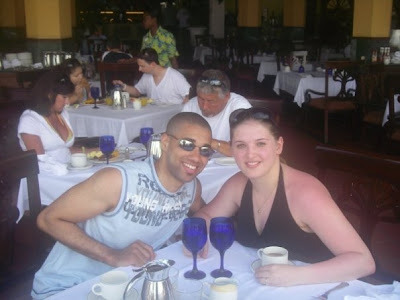 The rest of 2009, I spent planning our wedding and building my business. I started booking clients and receiving commission. It was this year that I made my first Sandals and Beaches bookings, took the Sandals class and became a specialist certified to sell Sandals & Beaches, and visited Beaches Turks & Caicos and Sandals Royal Bahamian on a travel agent familiarization trip. 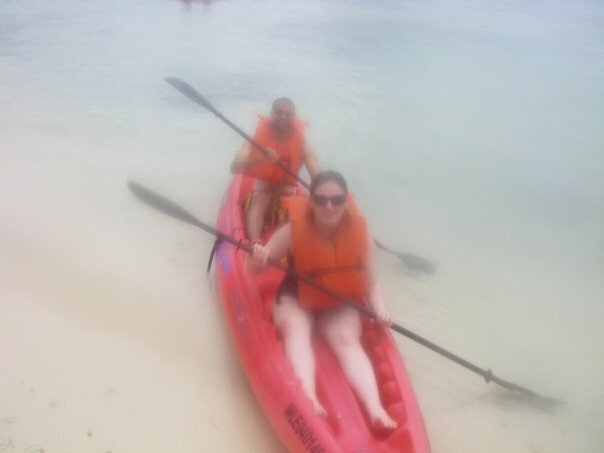 It was the best year I had in a long time, especially being able to go back and stay at a Sandals resort. 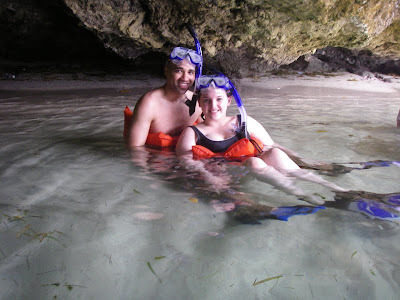 It made me even more excited to get my family down to Beaches Negril. In early 2010, my wedding plans came crashing down when my grandfather told me he was too sick to travel. 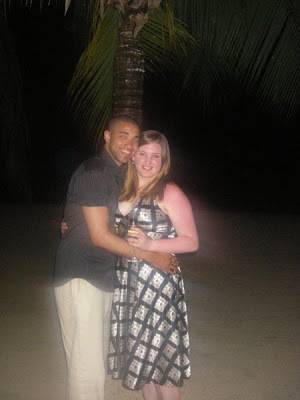 I knew I couldn't get married in Jamaica if he couldn't travel. He was like a second father to me. He helped raise me. He had to be at our wedding. It took some work but we decided to have a wedding at home and then renew our vows in Jamaica with family and friends, essentially taking them with us on our honeymoon. I began booking family and friends to join us at Beaches Negril for our vow renewal celebration. But a few months after booking I called to check on deposits and found that our bookings had been canceled. The agency I was working under as my host agency failed to forward on the deposit reminders to me and we missed the payment date. We lost our bookings at Beaches and there were no more rooms available for our late June dates. I was beside myself. I couldn't imagine taking my family anywhere but Beaches Negril. 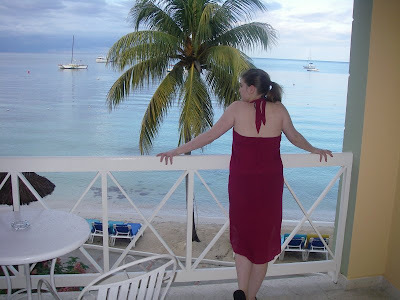 But I worked hard and found us a resort that did have availability, the Grand Palladium in Lucia outside of Montego Bay. It would have to do, because we weren't going to give up our dream of a Jamaica wedding that easily, even if it wasn't our first or even second choice resort. On June 26th 2010, we married in New Jersey surrounded by family. We had a lovely reception and then the next day we flew to Jamaica with 14 of our closest family and friends to celebrate in Jamaica. The trip to Jamaica was a first for many of our family members and it was exciting and special to share that with them, but something was off. Something was missing. It was the Sandals and Beaches experience. It was the feeling of being home. When we returned home we almost immediately packed our apartment up and moved down to Florida. We had discussed moving while we still could, before we had children and had to commit to a location. Florida had always been a place I wanted to live, and so Robert agreed he'd be happy there too, and we moved to Clearwater in the Fall of 2010, as husband and wife. It took me about six months from the time we moved down here to really build my business. I was focusing on my business full-time, which really made the difference. I also had connected with my local Sandals business development manager, Julie, who was excellent and so enthusiastic about helping me build my business that it gave me excitement and hope. She set goals for me, and I quickly surpassed them and would come to her asking for a new goal. We worked as a great team. 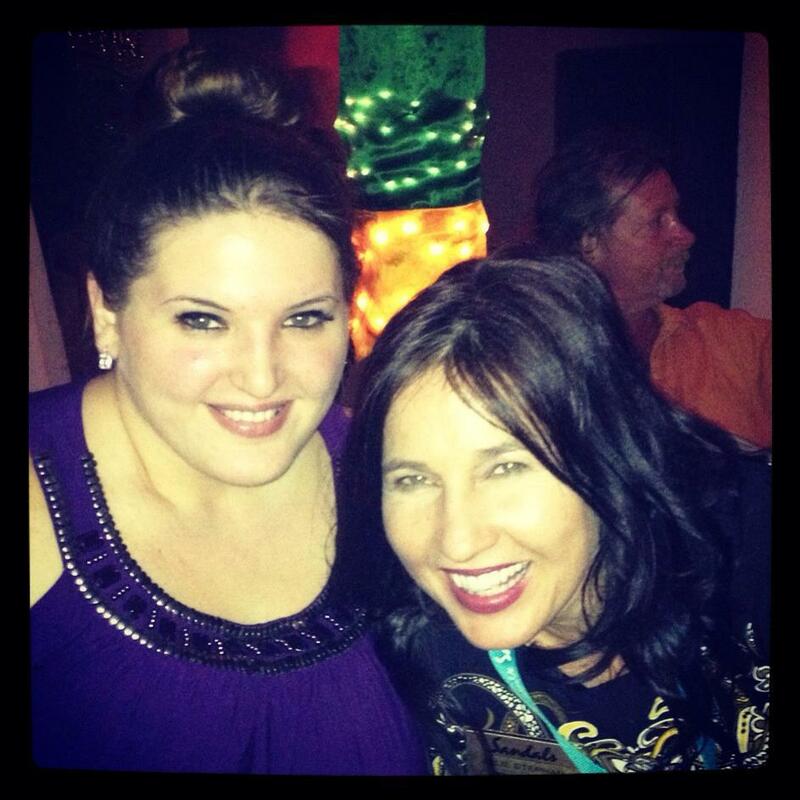 With Julie, my Sandals Business Development Manager. I decided to focus all of my attention on selling Sandals and Beaches. It was what I knew and loved, and in truth I knew that I could sell Sandals with my eyes closed because I trusted the product that much. It barely took a year for me to rebrand my company to completely selling Sandals and Beaches. I had my car wrapped with the Sandals & Beaches design and my company information (a program Sandals offers agents for free). 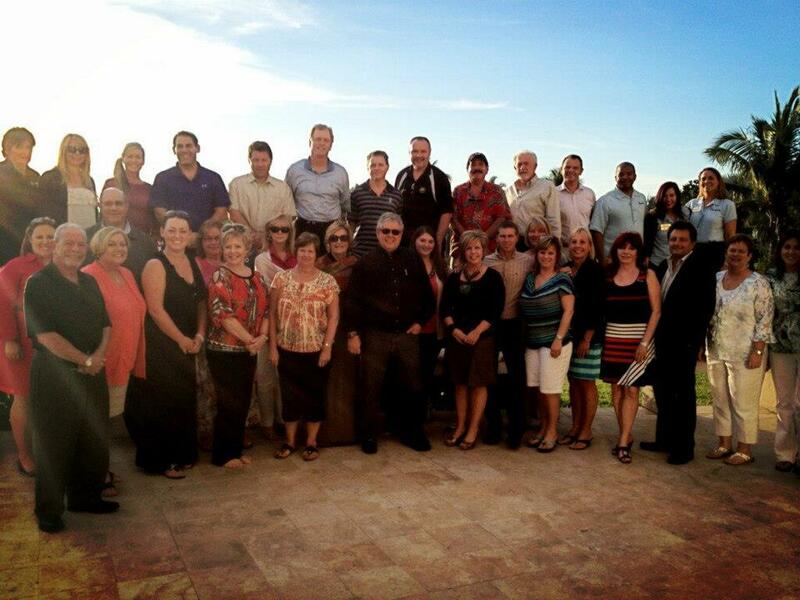 I even began bringing on other agents into my company so they could sell the resorts I wasn't working with. My company was growing and by the end of 2011. I had earned the Sandals Preferred Agency status. 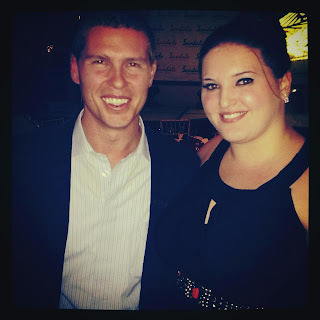 I was twenty-four years old and named by Travel Agent Magazine as one of the top 35 Travel Agents Under 30 in the USA. 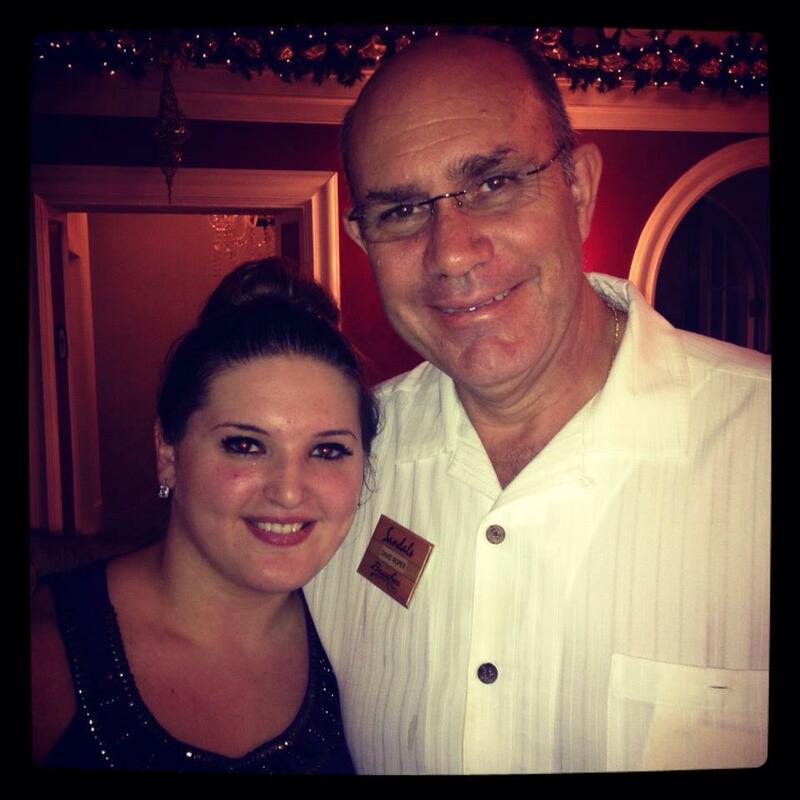 I had also been invited to the Sandals Travel Agency Recognition (S.T.A.R.) awards, which was a huge honor for me. I had surpassed all the goals Julie had set for me. With "Butch" Stewart, the Chairman and Founder of Sandals & Beaches Resorts. The next year, Julie set my goals extra high. She wanted me to earn a spot in the Chairman's Royal Club, a spot that was reserved for only the top selling Sandals agents. It was a group created by the Chairman of Sandals himself, Mr. Gordon "Butch" Stewart. It meant more than doubling my bookings for the next year. But I was determined to do it. By the end of 2012, I was officially welcomed as a Chairman's Royal Club Member for 2013. In December of 2012, I was sitting in the ballroom during Sandals Travel Agency Recognition Awards at Sandals Royal Bahamian. I was watching the other successful Sandals travel agents winning awards for their extraordinary sales, when Julie gave me my next goal. She wanted me to be up there on that stage next year, winning the Best of the Best award. But what happened next was more than either of us had dreamed. In 2013, my first year winning at STAR awards, I took home three awards! For "Outstanding Sales Achievement", "Best of the Best Agency", and their first-ever "Social Media Award". I was floored! And the following year, when I took home four awards-- "Sandals Spirit", "Best of the Best" again, the "Social Media Award" again, and the "CEO's Award of Excellence"-- I told Adam and Butch Stewart that "my cup runneth over"! For me this isn't a job. It's a passion. I sell Sandals & Beaches because I love and believe in the brand. These resorts are part of my life story. They feel like home to me and my husband. Every time we pull up to a property and are greeted by the staff with a cold towel, a glass of champagne, and a "Welcome back Mr. and Mrs. Solomon" it's as if we are returning home after a long trip away. The people who work at the resorts and in the main offices feel like extended family to us. Many of them we love just as much as we love our own close friends and family. I look forward to continuing my love affair with Sandals, and someday, hopefully not too far from now, my husband and I will sit hand-in-hand on that beach in Negril again. This time we'll be watching our Beaches babies playing in the surf with the biggest smiles on their faces, feeling our "cups runneth over" all over again.